People have more difficulty recalling the string of letters BIC, IAJ, FKI, RSU and SAF than FBI, CIA, JFK, IRS and USA. The well-established reason is that the amount of information we can hold in our short-term or working memory is affected by whether the information can be “chunked” into larger units. New research by Carnegie Mellon University psychologists takes this learning principle one step further by uncovering how the strength — or familiarity — of those chunks plays a crucial role. Published in Psychonomic Bulletin Review, they show for the first time that it is easier to learn new facts that are composed of more familiar chunks. These findings have implications for how students are taught almost any subject, including second language learning. They also indicate that the long-held belief that children have less working memory than adults may not be true because working memory resources are more rapidly consumed when the chunks are less familiar. This novel research merges instructional innovation and brain science, two of Carnegie Mellon’s university-wide initiatives — the Simon Initiative, which aims to measurably improve student learning outcomes by harnessing decades of learning science research, and BrainHub, which focuses on how the structure and activity of the brain give rise to complex behaviors. “We are suggesting that working memory capacity is not a fixed quantity but interacts with the familiarity of the elements that need to be processed. If everything is very familiar, it is easy to comprehend and build new knowledge. 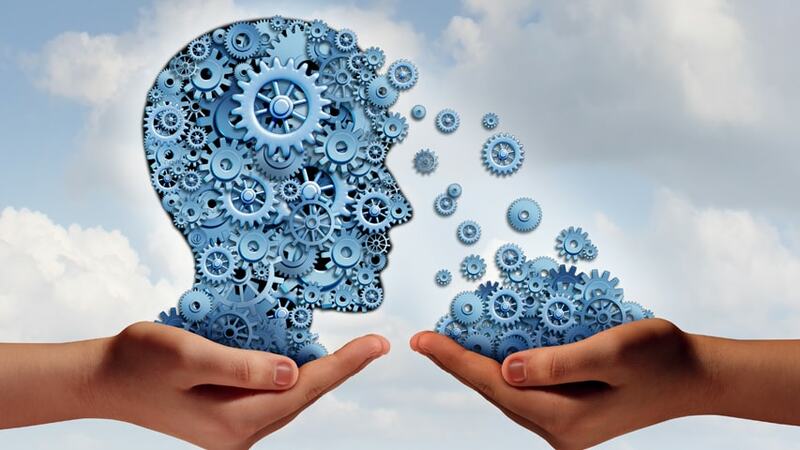 If all of the components are unfamiliar, the task becomes very difficult or impossible,” said Lynne Reder, professor of psychology in the Dietrich College of Humanities and Social Sciences and a leading expert on memory, cognition and behavior. Reder is also a member of CMU’s Center for the Neural Basis of Cognition (CNBC) and the Human-Computer Interaction Institute. For the study, 20 CMU undergraduates with no prior experience with Chinese language learning were familiarized with 64 Chinese characters during three-hour long sessions each week for one month. This involved searching for a particular character in visual display of similar characters. (See top row of Figure 1.) Half of the characters were randomly selected to display at a higher frequency — 20 times more often — to become more familiar to the participants, leaving the remaining “low frequency” characters less familiar. Each week, participants also completed a memory test requiring them to learn an association between a pair of characters and an arbitrary English word. (See the second row in Figure 1.) Each pair of characters was completely new and was composed either of the low-frequency or the high-frequency characters. The researchers found that novel combinations of characters that were made from the more familiar characters were easier to learn to associate with new information than combinations made from the less familiar characters. Reder and her team theorized that learning would be faster and more accurate with more familiar characters because, according to them, stronger chunks consume less working memory and working memory is critical for forming new knowledge. 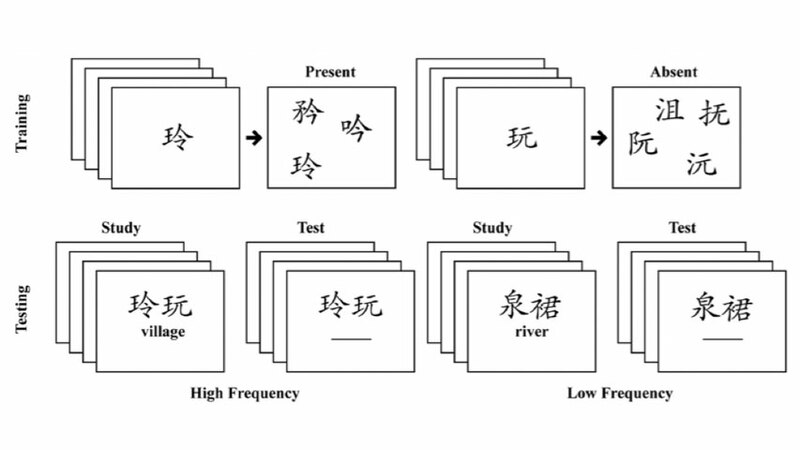 To further support for the finding that more familiar chunks consume less working memory resources, they had participants complete a popular test of working-memory (N-back) with both the high- and low-frequency characters and found that the N-back task was much easier with the high frequency characters. In addition to Reder, the research team included CMU’s Xiaonan Liu, Alexander Keinath and Vencislav Popov. This study was partially supported by the National Institute of Mental Health.